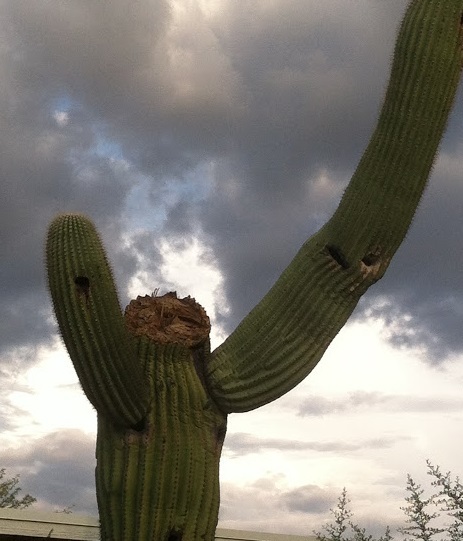 This heroic saguaro is another casualty of the fierce storms that have been blowing through my neighborhood. As you can see, this cactus was decapitated and a very big piece was lobbed off! Wow!